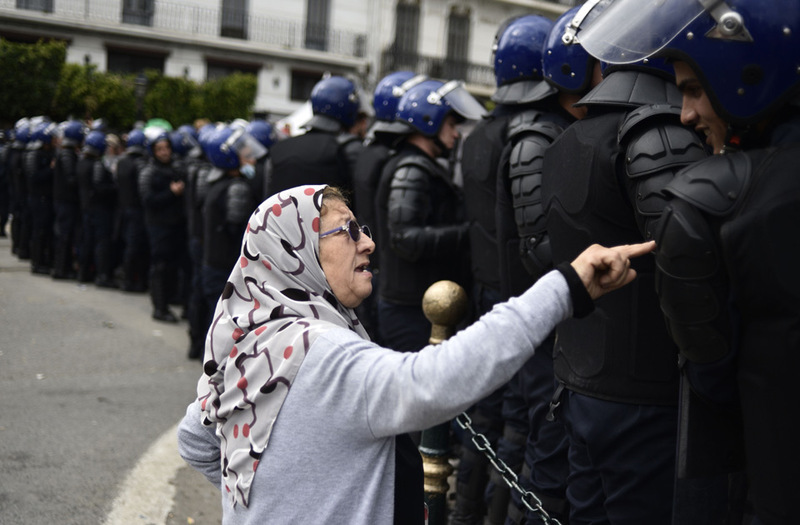 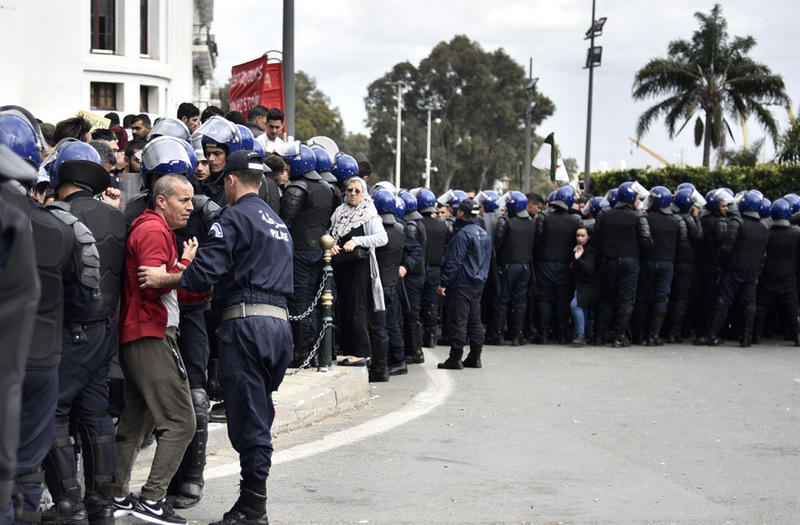 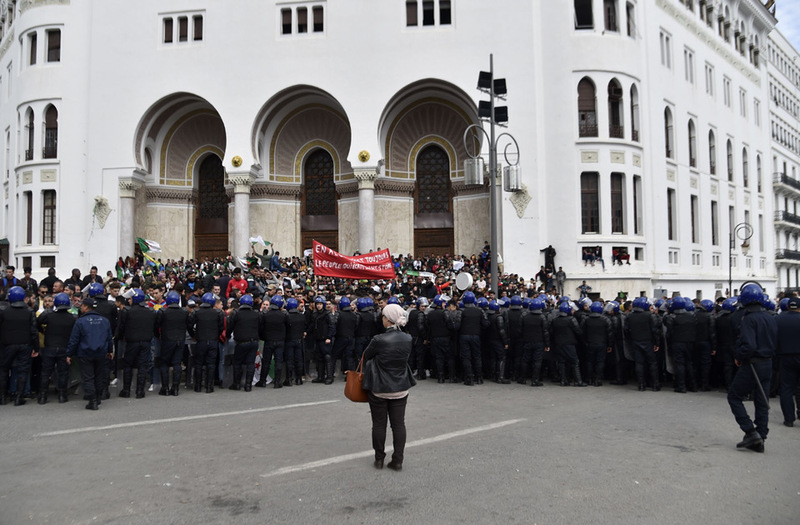 Police officers prevent demonstrators from marching during a protest against the appointment of interim president, Abdelkader Bensalah and demanding radical changes to the political system, in Algiers, Algeria April 10, 2019. 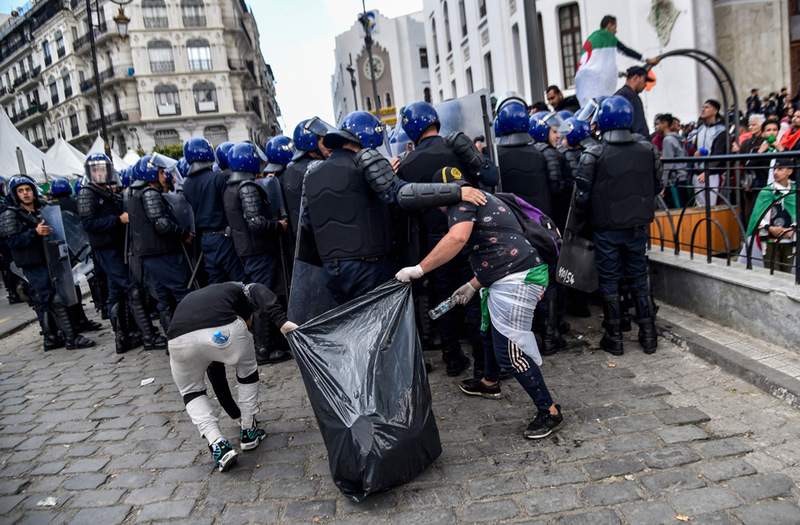 Algerian youths collect trash behind riot police during an anti-regime demonstration in a cordoned-off protest area in the capital Algiers on April 10, 2019. 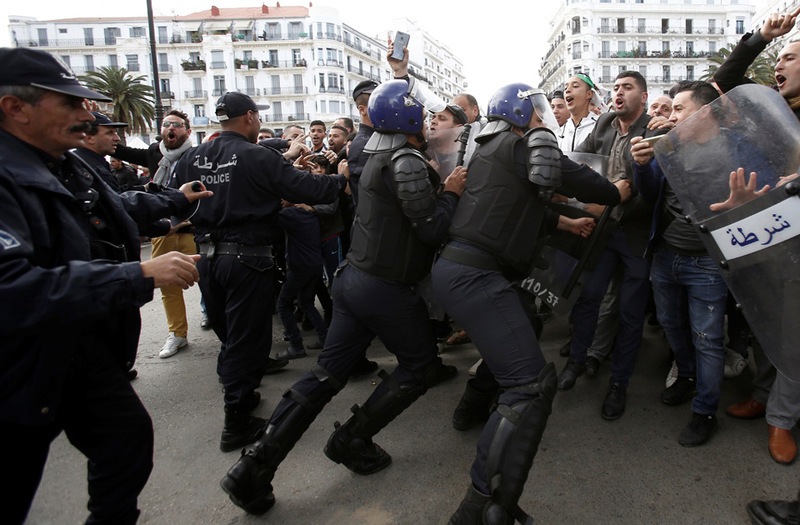 Algerian security forces cordon-off a protest area during an anti-system demonstration in the capital Algiers on April 10, 2019. 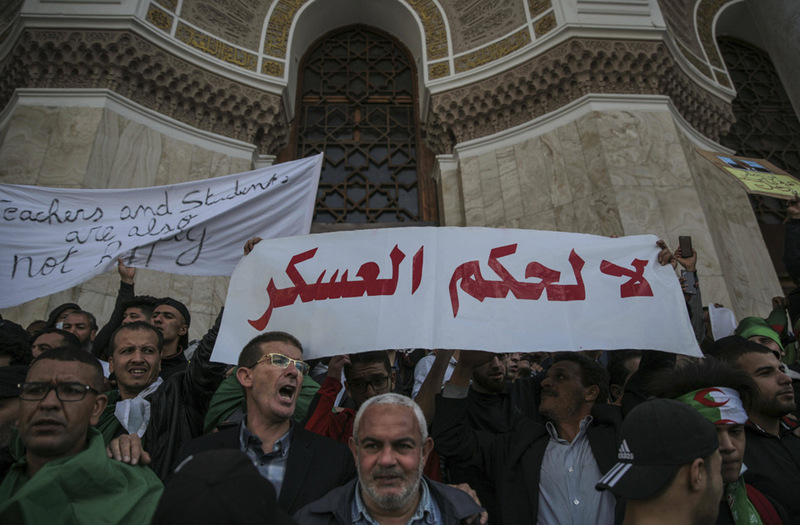 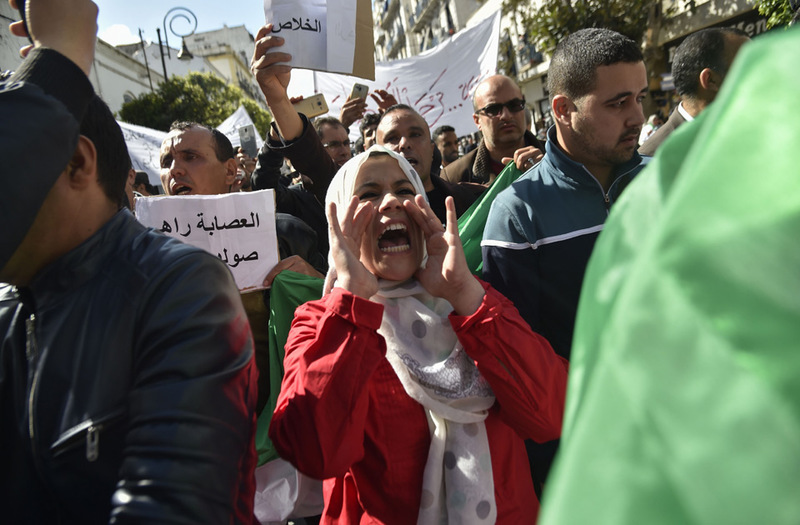 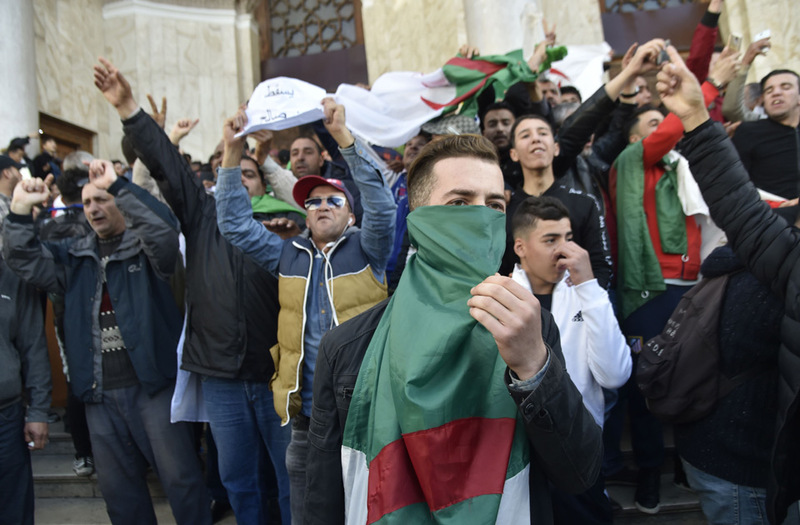 People chant slogans during a demonstration in Algiers, Algeria, Wednesday, April 10, 2019. 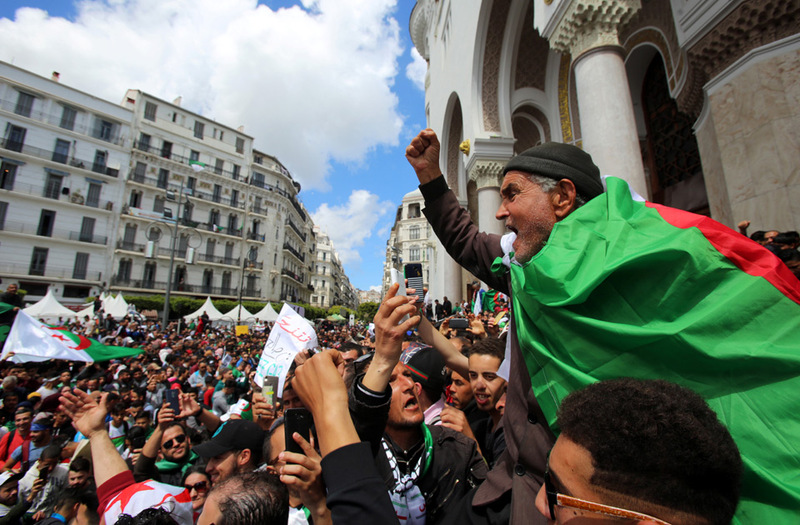 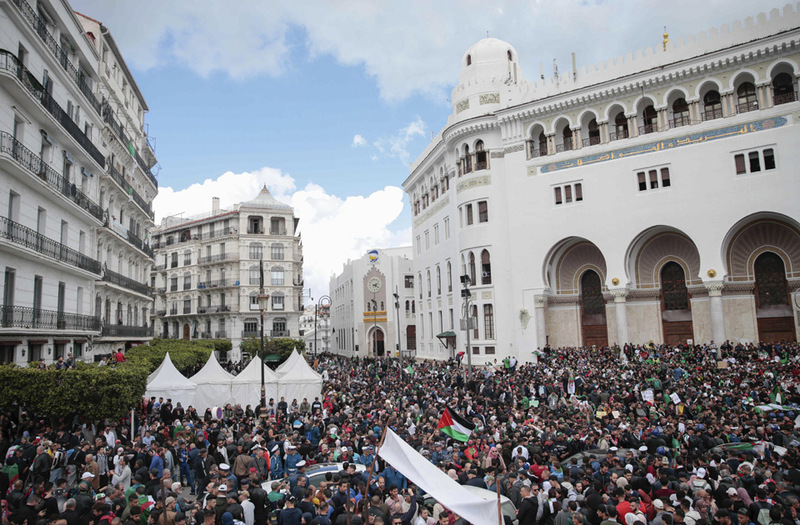 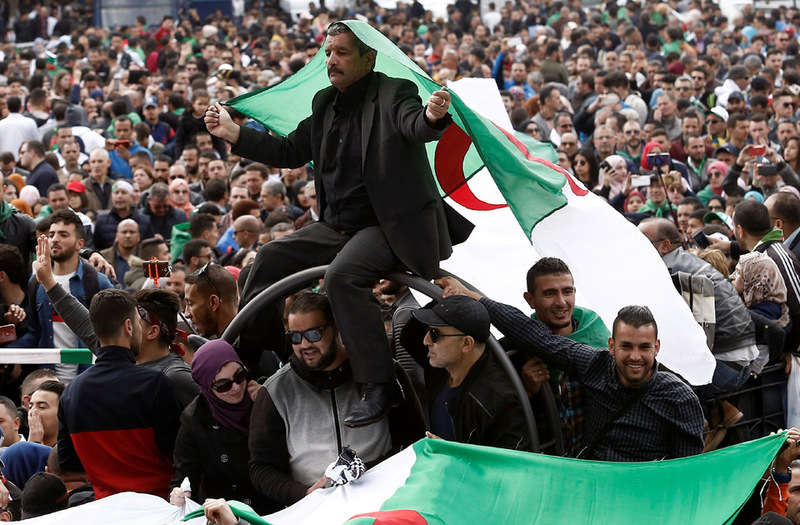 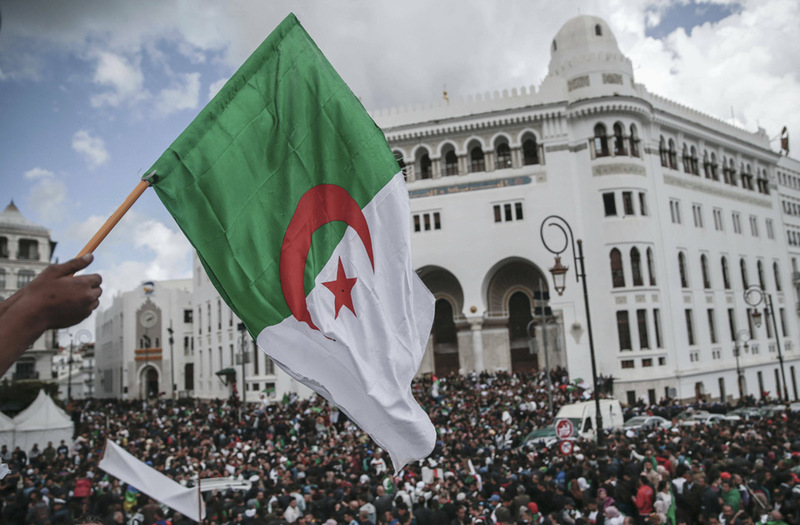 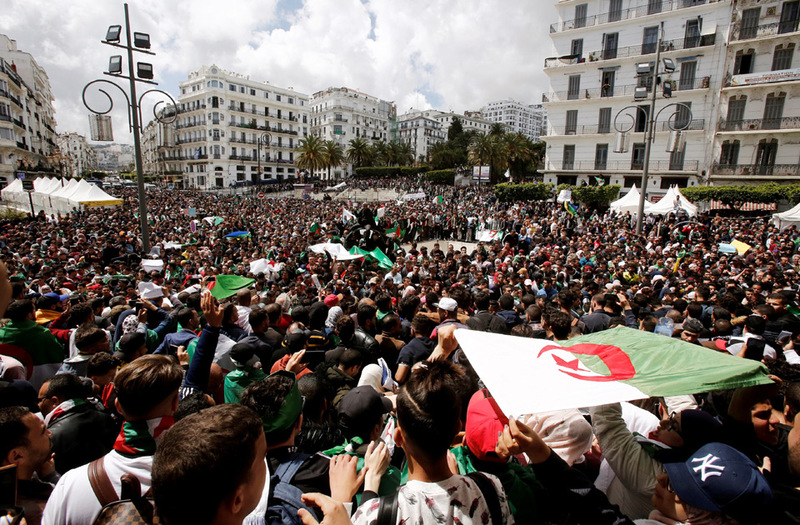 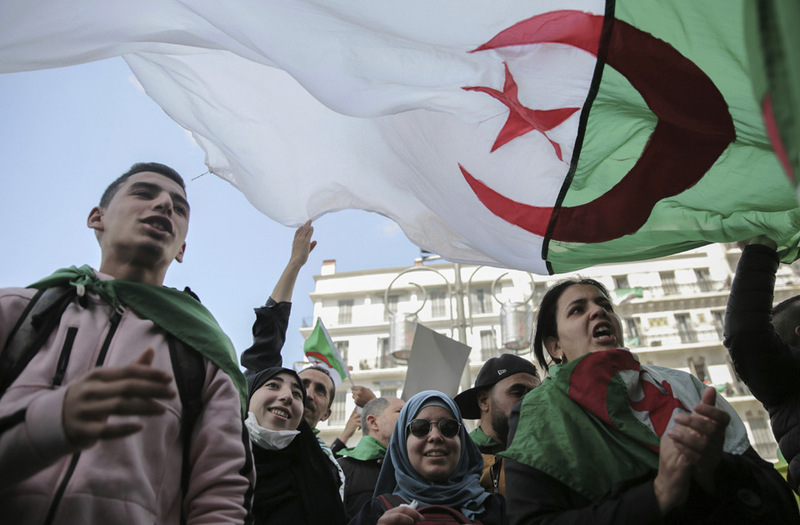 People chant slogans and wave flags during a demonstration in Algiers, Algeria, Wednesday, April 10, 2019. 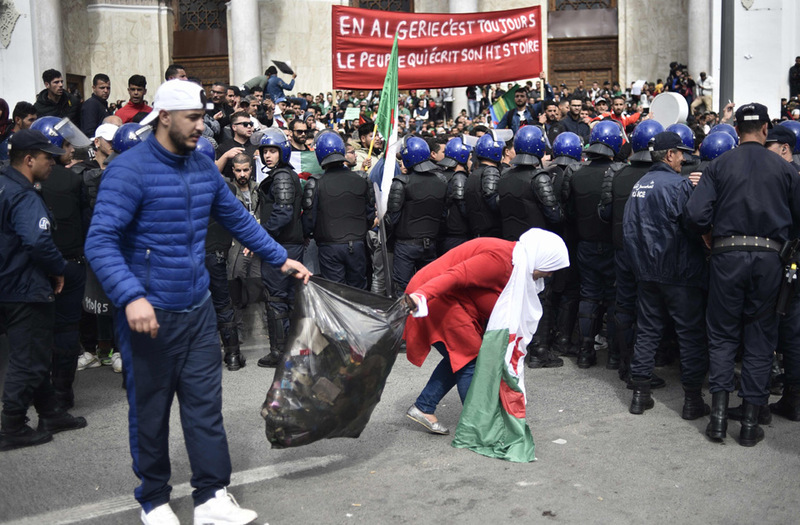 Algerian demonstrators collect garbage as security forces cordon-off a protest area during an anti-system demonstration in the capital Algiers on April 10, 2019. 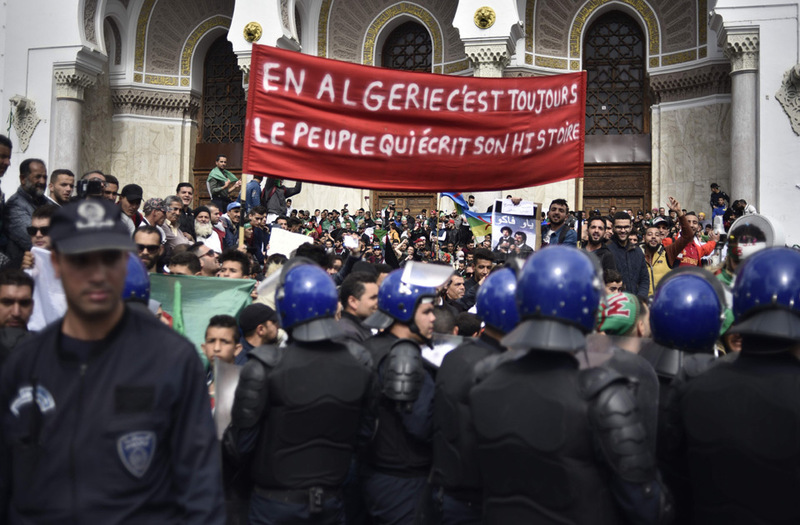 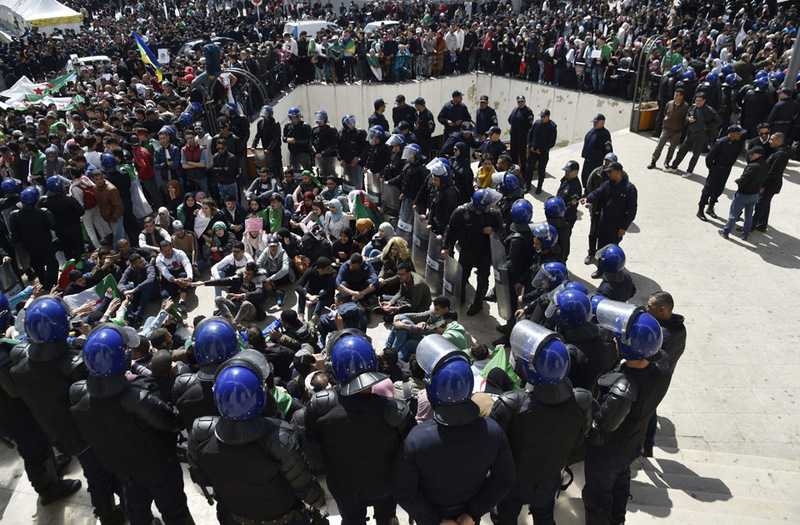 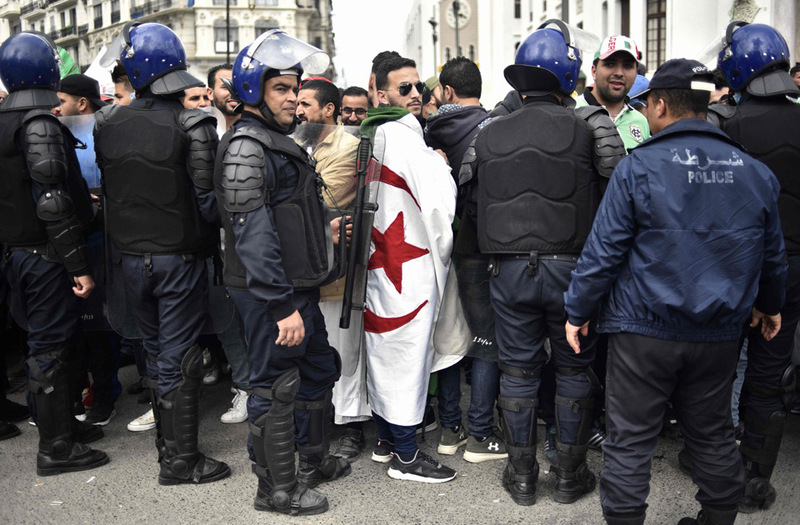 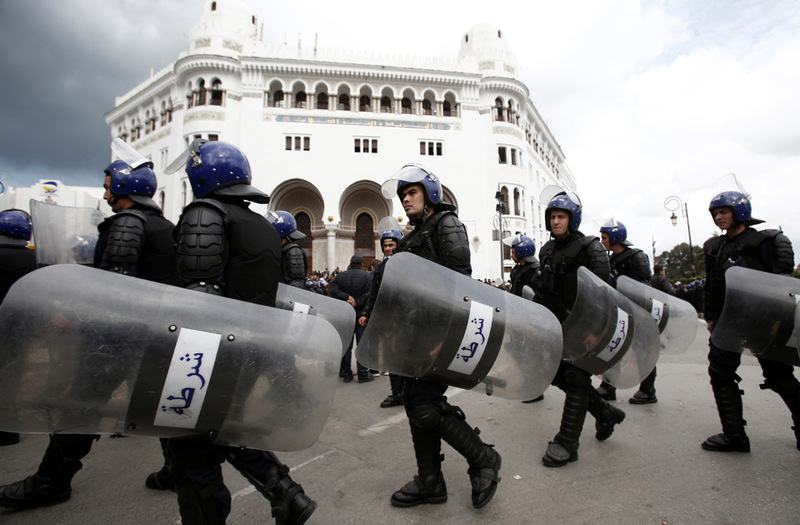 Algerian riot police monitor an anti-government protest in the capital Algiers, on April 9, 2019. 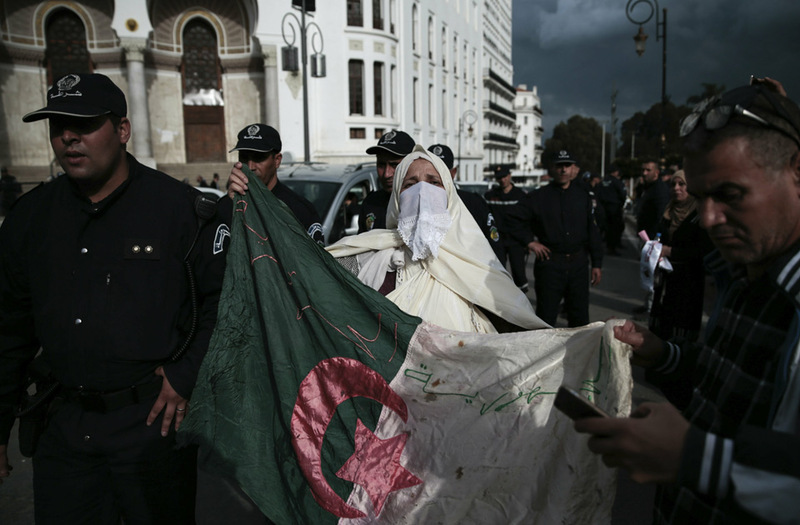 A man carries a national flag during a protest against the appointment of interim president, Abdelkader Bensalah demanding radical changes to the political system in Algiers, Algeria April 10, 2019. 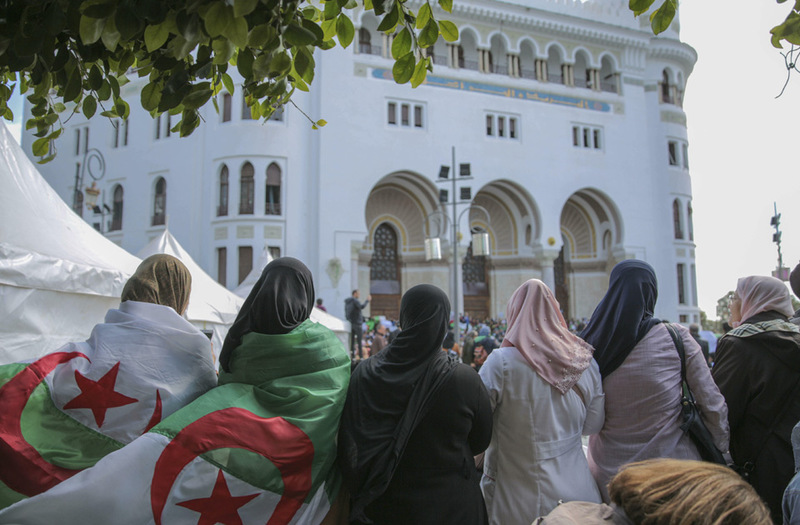 Women observe and chant slogans during a demonstration in Algiers, Algeria, Wednesday, April 10, 2019. 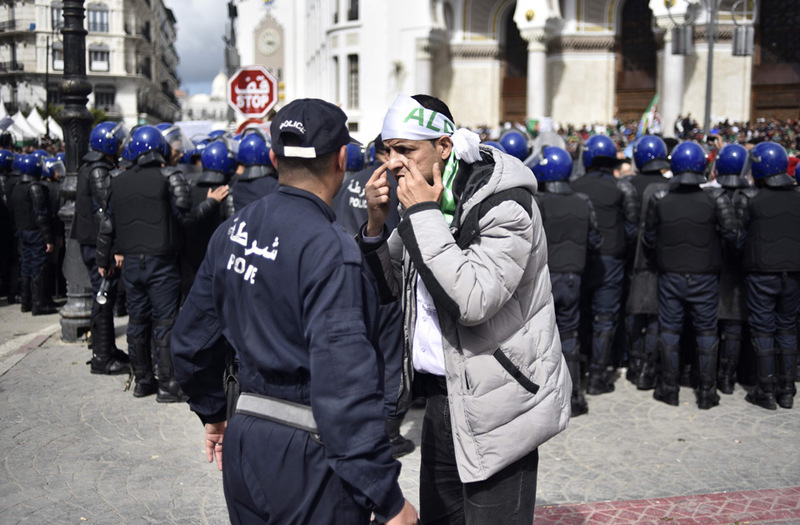 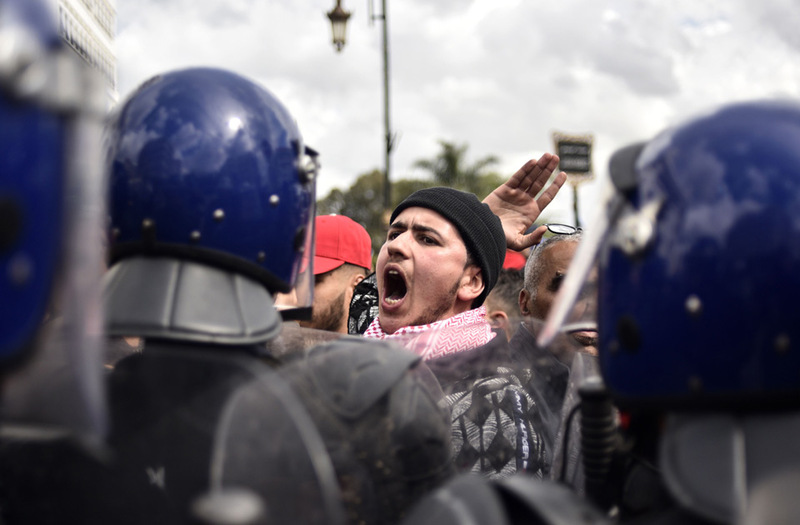 A man gestures during a protest against the appointment of interim president Abdelkader Bensalah demanding radical changes to the political system, in Algiers, Algeria April 10, 2019. 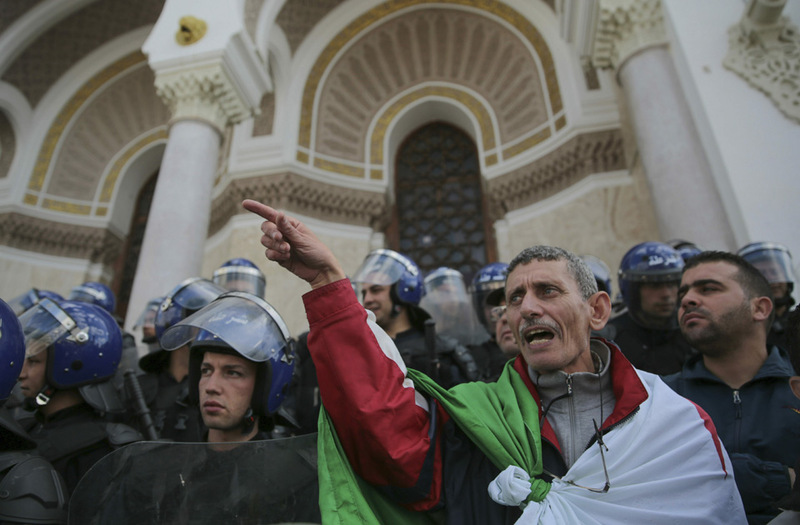 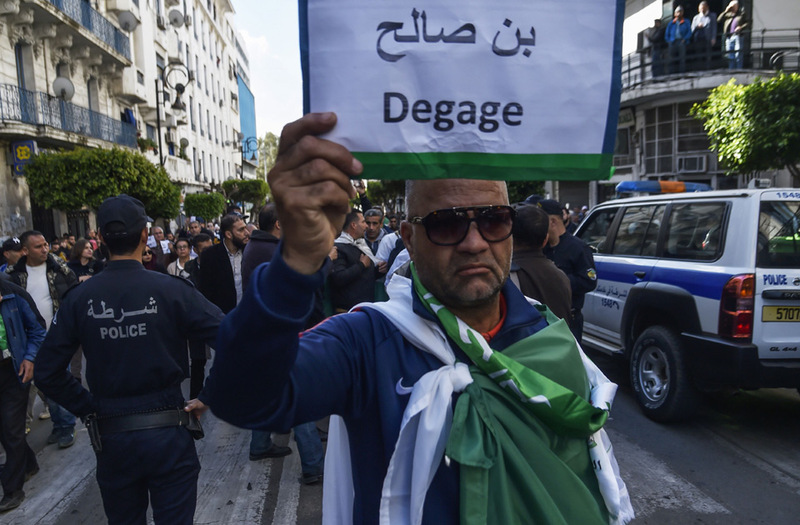 A man chant slogans during a demonstration in Algiers, Algeria, Wednesday, April 10, 2019.